It was through the London Weekend Television series ‘Search for a Star’ in 1981 that Yorkshire-born Joe Longthorne first became known to the British TV audiences as a singer and impressionist. Since then, Joe has both enjoyed and endured a lot in his nearly sixty-two years but the Singer’s Singer is back, stronger than ever and ready to take King’s Hall, Ilkley by storm on Thursday 1 June 2017. Joe’s success on the ‘Search for a Star’ show led to being given his own prime time TV series ‘The Joe Longthorne Show’ (1988–1991) and secured Joe’s place as one of the UK’s top entertainers. But, just as he reached this pinnacle of fame he was taken ill and struck down with lymphoma. Responding well to treatment, Joe’s tenacity and determination to get back on stage saw him take on a gruelling UK tour and a trip to Australia resulting in sell-out performances at the Royal Albert Hall, the Sydney Opera House and the London Palladium. His music videos ‘Live in Concert’ and ‘A Man and His Music’ continued to capture the magic of a live concert by this inimitable entertainer and helped grow an army of fans worldwide. However just as his ‘Star’ was rising once again, the illness that had been under control worsened and deteriorated into the life threatening leukaemia. The next few years saw Joe bravely battle the illness with visits in and out of hospital and yet courageously continue to appear on stage giving performances that made him an inspiration for many. In 2006 at his most seriously ill he underwent a bone marrow transplant that was to save his life. Later that year he performed again to a sell-out audience at the London Palladium and in 2007 was awarded a Lifetime Achievement award by the Variety Club of Great Britain. Joe Longthorne has since gone from strength to strength selling out venues up and down the country and working tirelessly raising money for various charities. 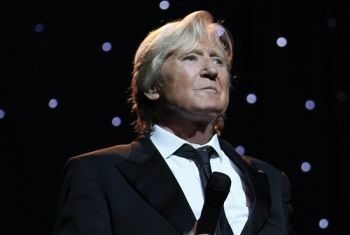 On this tour, Joe Longthorne fans are in for a treat as Joe will concentrate on his singing and will feature much loved songs like ‘Somewhere’, ‘As I Love You’, ‘You will My Music’ and ‘Begin the Beguine’, coupled with new arrangements of some of his own songs such as ‘Joanna’.